Shoot bubbles and relive your childhood memories playing fun arcade games! 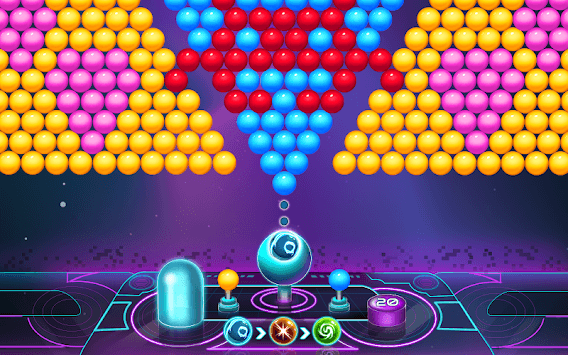 Put your puzzle solving talents to the test in this addictive epic game, shoot and pop bubbles and beat thousands of amazing levels. Start playing this awesome new game today! Fans of fun puzzle games? We know how much you love a good challenge and we have prepared some new awesome quests and brain teasers for you to enjoy! Step into the exciting Bubble Arcade world and discover unique bubbles game, with brand new features and mind-blowing boosters and effects. The bubble shooting mania starts NOW! Get ready for a cool bubbling adventure! Warm up your fingers and blast all the colorful balloons- it’s super fun and relaxing. No wifi or internet connection is required so you can enjoy an unlimited bubble pop fun. Share this addicting puzzle game with friends and family and see who can reach the highest score. • Match colors to pop and explode all the balls. • Use your logic skills to solve all the tricky puzzles. • Clear a level with fewer moves to get a higher score. 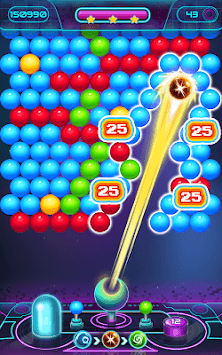 • Make powerful bubble combos to create big explosions. • Swap bubbles and plan your moves wisely. • Hit the target and win coins! • Use the super aim to take accurate shots and shoot bubbles. • The Magic Beam will clear all the balls in its path. • The Sparkling Blast will smash all the colorful balloons around it. Earn and use these awesome boosters to MASTER tricky obstacles like blockers or boss levels in the most fun ball shooter game! Shooting and popping bubble drops is the perfect way to pass the time. It’s easy to learn but can be hard to master, so take your time and exercise your brain with thousands of free puzzle levels. 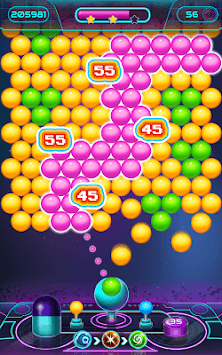 Revisit the classic bubbles game and enjoy awesome arcade graphics, smooth gameplay and plenty of cool surprises. Download Bubble Arcade for free to your Android phone and jump into action!